Hollywood is littered with epic rise-and-fall sagas, and the action isn’t limited to the movie sets. Go figure, much of the juiciest drama actually takes place away from the movie sets. Occasionally, the drama is intense enough to warrant a self-sustaining Hollywood life cycle with the Hollywood drama being so intense that it actually warrants a movie. Lifetime’s “A Tale of Two Coreys” is one of those times. A star is born, or in the case of the “the Coreys”, two stars are born. Corey Feldman and Corey Haim frequently costarred in many of the biggest hits of the 1980s, including the Goonies, Gremlins, and other smash hits. After an initial period of success, the stars established themselves as heartthrobs. Yet for the Coreys, the bright lights of Hollywood prove to be too much. Wild parties, drug addiction, mental/emotional issues and the like can lead to dramatic downfalls, often leaving throbbing hearts broken. Sometimes, Hollywood stars turn things around (looking at you Robert Downey Jr.), but often the stars never retire, and many suffer from early deaths. For the Coreys, that turn around never came. Haim, sadly, passed away from an accidental drug overdose in 2010. The “Two Coreys” isn’t just about the Coreys. Another Hollywood drama staple and extinguished star makes a dramatic appearance: B. Howard, the oft rumored son of Michael Jackson, who at the very least bears an uncanny resemblance to the King of Pop. 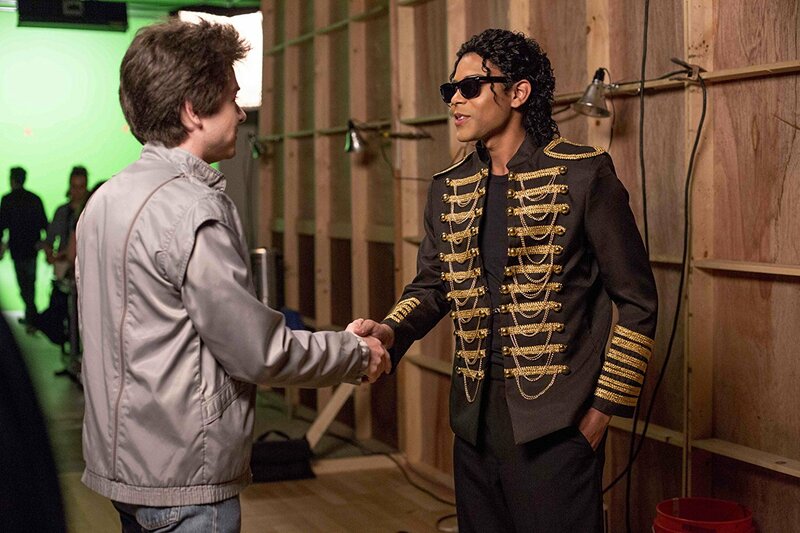 Howard makes his acting debut in “The Two Coreys”, appearing as Michael Jackson. Howard has long been a close member of the Jackson family, making the role both fitting and personally daunting. Some young stars relish the opportunity to play their relatives. Take Ice Cube’s son playing as the titular rapper in “Straight Outta Compton”. Howard finds himself in a similar role, acting out the life of someone he closely resembles and knew with familiarity. Howard ultimately signed up for the role as MJ, but there was a lot of hesitation. And who could blame him? Anytime any actor takes on the role of such an icon, they’re going to be put under the microscope. Yet Howard faced another dilemma. The movie was going to go forward, and someone was going to have to play MJ. If not Howard, then someone else, and that someone would probably lack the background to know both MJ and the Coreys. Howard, on the other hand, was all but an understudy for the role, being familiar with all parties involved. Of course, Howard wasn’t on set just to play MJ for a few brief moments. He was also there to offer insights into the life MJ led and the person he was. For Howard, the story of the Coreys is certainly important. Yet at the same time, he has to safeguard MJ’s considerable legacy.